The national phenomenon of TED Talks returns to New Bedford for a day-long conference! 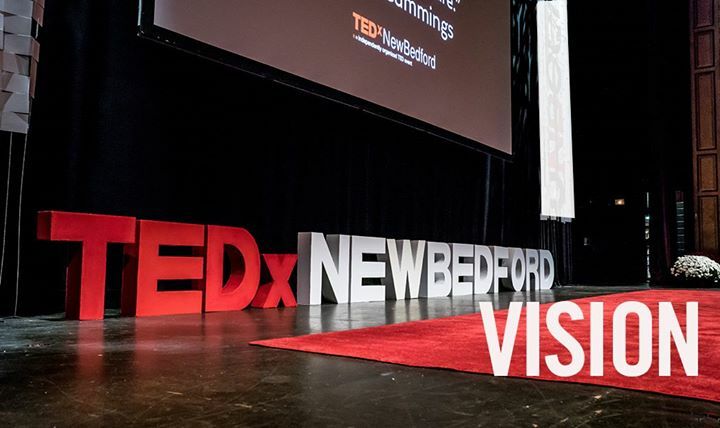 TEDxNewBedford: VISION, Imagining, Designing & Building our tomorrow, TODAY will feature 16 regional and national speakers to share their inspirational stories around the theme of “VISION” to give us a glimpse of our future. Nationally, TED is a nonprofit devoted to spreading ideas, usually in the form of short, powerful talks of 18 minutes or less. Locally, independently run TEDx events help harness the power of ideas to change attitudes, lives within communities.